George Barris, the legendary custom car builder who created television's original Batmobile and helped define California's car culture with colorfully designed vehicles ranging from the stunningly beautiful to the simply outrageous, died Thursday. He was 89. Barris customized cars and buses for TV shows, movies, celebrities and heads of state and was a pioneer in designing small, plastic models of those customized cars. The models popularized his wildly imaginative vehicles all the more when they were assembled by millions of American youngsters in the 1950s, '60s and '70s. "He was the man who started the American pastime for Baby Boomers," Lozzi said. 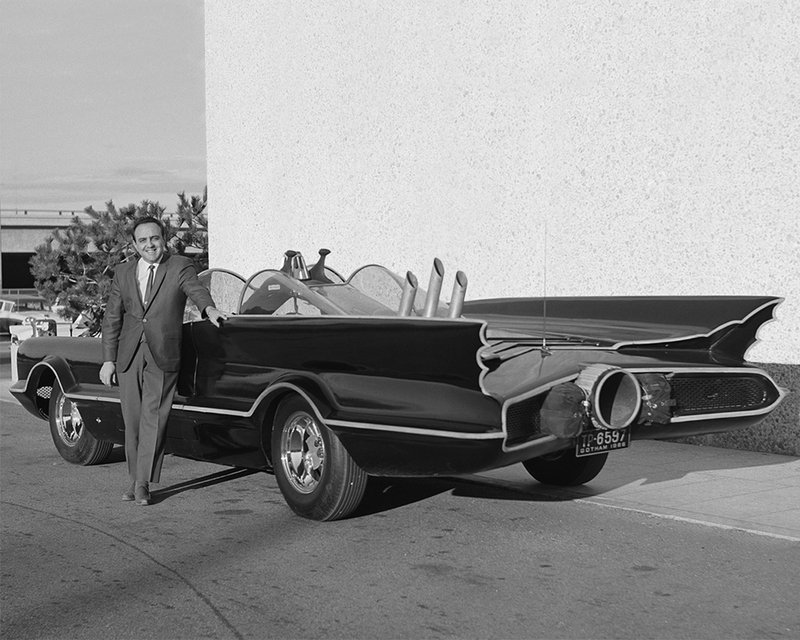 Barris also worked on The Munster Koach for the 1960s TV show "The Munsters," and "Black Beauty," the car Bruce Lee used in the TV show, "The Green Hornet." Barris would say years later that they customized their first car as teenagers - a 1925 Buick they were given for helping in the family restaurant. They sold it and used the money to work on another. After fully customizing a 1936 Ford in high school, Barris formed the Kustom Car Club. The unusual spelling of "custom," never fully explained, came to be his signature. Barris, meanwhile, remained active until recent months. He and his son, Brett, took part in a signing last summer at a Los Angeles car dealership for their recently published book, "King of the Kustomizers: The Art of George Barris."